From March 1, Diamond members will receive two complimentary day passes to United’s airport lounges. Also beginning on March 1, Diamond members’ benefits such as free breakfast and late check-out can be enjoyed by friends and family when elite members redeem Gold Passport points for their friends’ award stays. Gold Passport members earn Platinum status after five stays or 15 nights; Diamond status is earned after 25 stays or 50 nights. 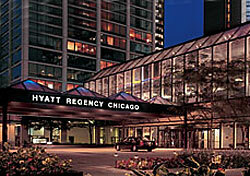 The new perks are a welcome value-add to Hyatt’s elite program. With its relatively small network of hotels, Hyatt has to be more generous and creative in its loyalty initiatives to compete against the likes of Hilton, Marriott, and InterContinental. Like this.